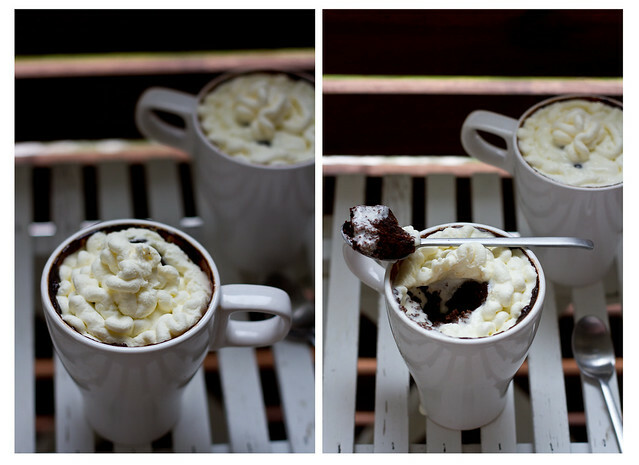 Mug cakes have become the in-thing recently. Simple, easy and quick. We can make a vast variety of them ranging from simple, chocolate, coffee and even with Nutella. 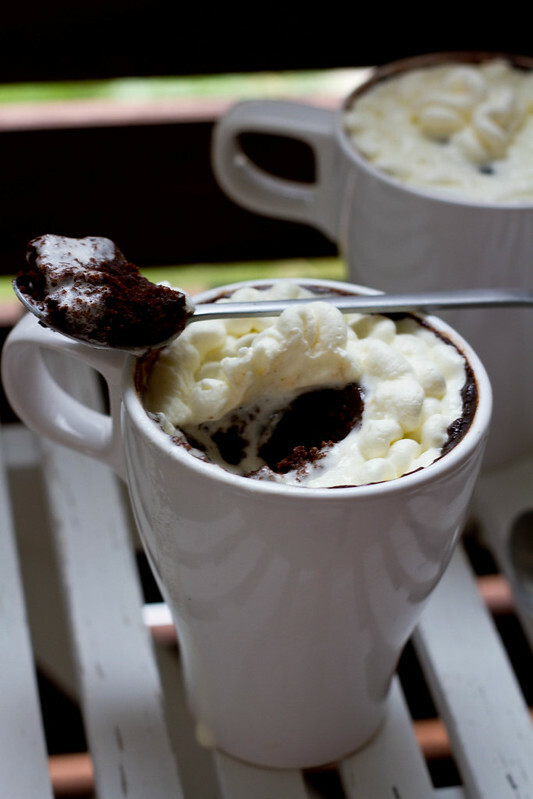 This mug cake is with Nutella. I had a surprise visit from a friend a few days back, and I whipped it up in 5 minutes. In a large bowl, whip together all the ingredients till you get a smooth batter. Do not over mic the batter. Pour into two or three medium sized mugs, till 3/4 th full. Microwave on high for 5 minutes. The baking time might differ depending on the microwave, so keep checking for every minute after first two minutes. 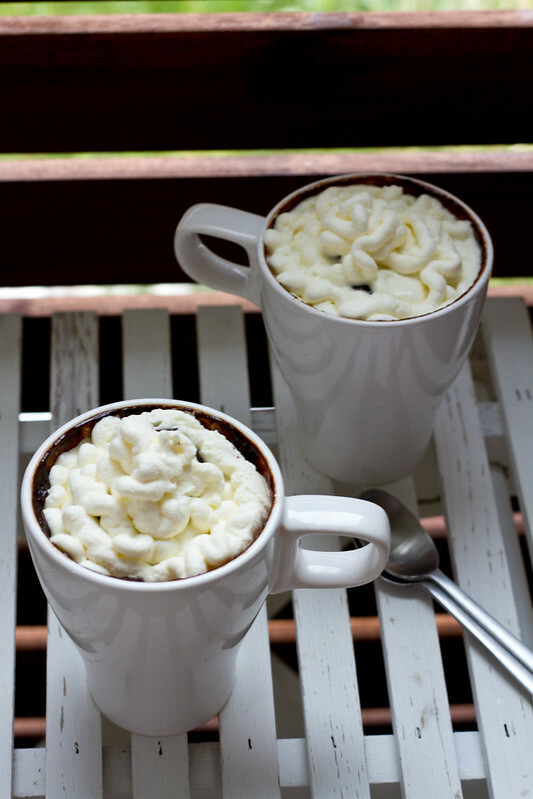 Such a cute presentation…this easy dessert recipe would be my savior for any busy day! Delicious and beautiful mug cake who can say no to this. Try this one Anamika, I am sure you will succeed. Let me know. I made the mug cake again on Thursday and it came out perfect !!! My husband absolutely loved it. Thank You Spandana for the recipe. Good to hear that Seena. I am glad you tried again. Hi can you please let me know what is meant by All purpose flour and Nutella in telugu. I am bit confused about the names, In market they are giving diiferent type of item. All purpose Flour is Maida. and Nutella is called Nutella only… it is like a chocolate Jam/ Spread. It is available in all big supermarkets like Qmart(in Banjara Hills), Hypercity(which is in Inorbit Mall) etc in Hyderabad. I have done this before and love it so much. Will add the nutella next time for sure. What an awesome dishes. Fabulous.Some of the receipes are printed in the newspaper!